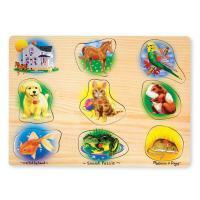 Adorable pictures of common pets illustrate this wooden, 8-piece peg puzzle. 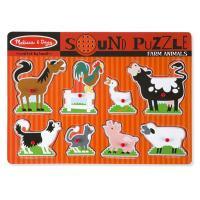 When each piece is placed correctly in the puzzle board, the animal will "sound off". 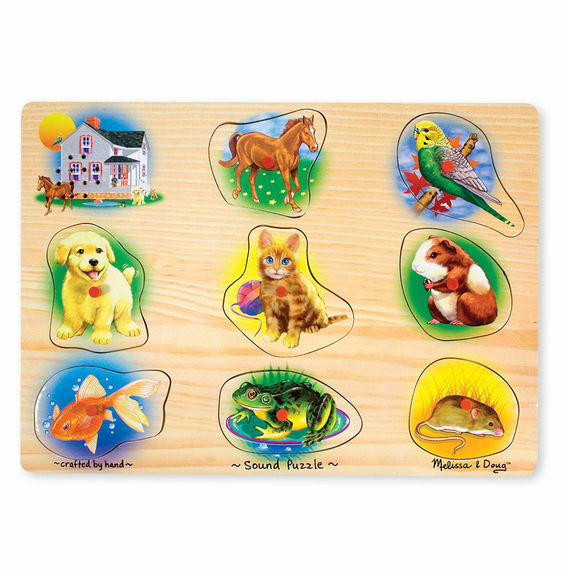 Eight sounds in all. Full-color, matching picture under each piece.